Our slightly negative tone throughout this review is perhaps a bit unjust to the X1. Being a BMW, we had higher expectations for the X1 than we should have. After mulling it over and comparing it with more and more vehicles in the category, we conclude that the X1 should definitely be on your short list for subcompact luxury SUVs, alongside the GLA250 and Audi Q3. The truth is, the X1 is pretty damn good, just not quite worthy of the “Ultimate Driving Machine” moniker. With a starting price less than $35,000, the X1 is an affordable BMW. We imagine many will buy it based on the brand prestige alone. We nitpick X1 a lot in this review, but that doesn’t make it a poor choice in the subcompact luxury SUV segment. The X1 definitely is the most muscular looking of the bunch and looks every bit SUV, where the Mercedes GLA and Infiniti QX30 look more like awkward crosses between station wagon and hatchback. For those looking for bimmer curb appeal without breaking the budget, the X1 is an excellent choice. The BMW is a capable sub compact crossover, beginning at $33,50 for the front wheel drive model and $35,750 for the xDrive all wheel drive variant. An optional cold weather package heats the seats and steering wheel for $550. A $1,150 Driver Assistance Package includes parking assistance, a rearview camera, and park distance control. For $700 more, Active Driving Assistant will caution you of potential hazards, whether pedestrian or Porsches, and advise you of current speed limit. The $2,450 M Sport Appearance Package enhances the curb appeal of the X1 with an aggressive body kit and upgraded steering wheel. To receive auto dimming mirrors, keyless entry, a moonroof, and LED headlights, purchase of the $3,250 premium package is required. Finally, the $2,550 Technology Package provides BMW online that includes navigation with real time traffic information, a heads-up display, enhanced USB and bluetooth smartphone integration, and remote services. Though the X1 is already in its second generation while most of the competition is in its first, the performance of the X1 actually decreased rather than increased. In an effort to save money, BMW changed the platform from the rear wheel drive 3 series wagon to an all new front wheel drive platform. The result is a bimmer that isn’t nearly as dynamic to drive, a far cry from the “ultimate driving machine.” Driving the X1 in any transmission mode other than “Sport” is a frustrating experience, as the eight speed automatic doesn’t seem decisive. 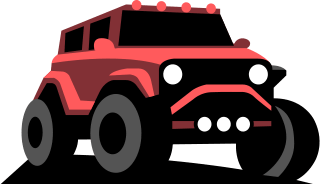 The 2 liter 228hp engine delivers acceptable acceleration, expect to win some suburban drag races against larger SUVs with a 0-60mph time of 6.6 seconds or 6.3 seconds with all wheel drive. The suspension is firm and delivers somewhat agile handling that lacks the “feel” of sports sedan found in the Mercedes GLA and Acura RDX, which we believe are better handling alternatives. A positive tradeoff to the uninspiring engine with stop/start function is its stellar fuel economy at an EPA estimated 23 mpg city and 32 mpg hwy, making it one of the most efficient SUVs in its class. One of the X1’s attractive attributes is its well appointed cabin. Soft, supple leatherette or leather and high quality dash materials remind occupants they are in a BMW after all. Standard features include push to start, Bluetooth, USB port, and iDrive infotainment system connected to an underwhelming seven speaker audio system. Smartphone integration, parking sensors, adaptive cruise control, a heads-up display, collision warning and prevention, rearview camera, and adapted cruise control are all available upgrades. We think many of these features should be standard in a vehicle of this price. The X1 seats five quite comfortably with plenty of second row legroom. The front seats are supportive and their seating position provides excellent front and side visibility. However, the bucket portion is too short for drivers, robbing them of much needed thigh support. The shape of X1 impairs rear visibility, a common problem for the subcompact SUV class. The rear seats fold with a 40/40/20 split that allows you carry the stuff you need without sacrificing the seating you need. With rear seats folded, the 58.7 cubic feet puts the X1 at the head of its class in cargo capacity, a category often overlooked in the segment despite the fact that it is a determining characteristic of the SUV. Access to the space is simple with a standard foot-sensing power liftgate. This feature makes trunk access while carrying a child possible, pleasing moms and dads everywhere. The X1 has a shapely exterior reminiscent of the larger X3. The available M Sport appearance package provides large front intakes and sportier body trim that make it look much more athletic than it performs. However, the design is distinctly BMW and shoppers looking for that premium BMW prestige will not be disappointed. Like the Audi Q3, the X1 sits low with wide, athletic haunches that belie the bimmer’s rather lackluster performance. We recommend the former for the performance oriented driver. Otherwise, the X1 is an attractive subcompact SUV for the driver who prioritizes presentation over performance. The X1 receives a 4 out 5 rating for predicted reliability from Consumer Reports which indicates above average reliability. JD Power, instead, offers a 3 out of 5 rating. Their lower rating probably reflects the National Highway Traffic Safety Administration’s two recalls. The first is for an instrument panel that hampers deployment of the passenger frontal airbag. Affected models receive a replacement instrument panel at no charge. It is unlikely the X1 you’re looking for is one of the four affected units. The second affects 3,502 more vehicles, including several mini and BMW models that aren’t the X1. Some seat mounted airbags were installed with bad igniters that may fail to deploy. The dealer will replace the faulty igniters free of charge. Further research revealed few complaints about the X1’s reliability, but it is quite early in the life cycle to arrive at a definitive conclusion. The X1 received the highest possible marks from the Insurance Institute for Highway Safety. Safety is a category in which the X1 excels beyond the competition. Many available driver assistance features, like the pedestrian alert system that will sense the presence of a person in your path during the day and even apply the brakes for you at speeds less than 35mph, can only be found in larger versions of the competition like the Audi Q5 or Mercedes GLC 300. Forward collision warning is similar, but functions at higher speeds and gives warning to the driver and applies brakes if no action is taken. Lane departure warning is active at speeds above 45mph and the steering wheel will vibrate if the driver leaves his or her lane. These features along with several state of the art airbags combine to make the X1 one of our top safety picks in the category, great for protecting little and large lives alike. The best compact crossover to consider in lieu of the X1 comes in Benz form. The GLA 250 is a bit smaller and therefore less useful than the larger X1. The shaved weight and trimmed size does add a bit more performance grunt, though the baby Benz packs twenty fewer horses. It is still quicker to 60 mph at 6.1 seconds and has a fun factor the BMW surprisingly lacks. The interior fit and finish is better in the Benz though both interiors feel inferior to more expensive models from both brands. The brakes in the X1 are slightly better and stop the SUV a few feet quicker than the GLA from 70mph. 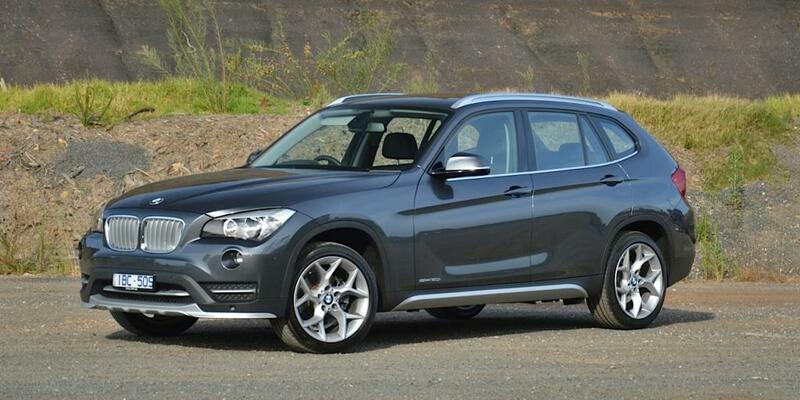 If you seek more second row legroom and cargo capacity, the X1 is the winner. But if you’re willing to sacrifice some practicality for performance, we would go with the Mercedes Benz GLA 250.